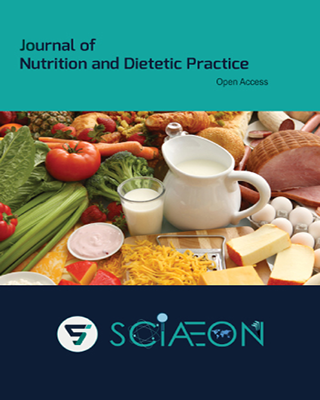 Journal of Nutrition and Dietetic Practice (JNDP) provides new insights by enhancing the research in Food science, Clinical nutrition, Dietetics, Nutrition therapy, community and Public health nutrition. Many scientific studies describe scientific mechanisms, safety of dietary interference in context of disease prevention and benefits of health. It includes research efforts related to biochemical, molecular and genetics studies by experimenting animal models and human subjects. It also focuses on nutritional assessment and medical nutrition; specializes in culture, psychological and physiological influences on the intake of foods. Its links the bridge between dietitian and researchers who are focusing on metabolic study related to diseases. The JNDP also focus on nutrigenomics and molecular nutrition, appetite, obesity, weight control, nutritional epidemiology and dietary surveys. The Dietetics mainly emphasizes on food acceptability, dietary selection, physiological aspects of food, food contamination and its link to human, nutritional quality, bioavailability of nutrients and food processing.